Every company, regardless of size, requires multiple tools to understand the performance of its website, happiness of its customers and gain key context from competitors. Here are 11 tools to help you gather that important data. Lou Dubois is a Philadelphia-based Social Media Editor for NBC Universal's local news affiliate (WCAU-TV). He is an experienced writer, editor and marketer who has worked with and written about Fortune 500 companies and small businesses, focusing on social media, emerging technologies, small business success, entrepreneurship, sports business and corporate policy. Previously he worked for Social Media Today, Sports Illustrated, the Associated Press and SOBeFit Magazine, along with various newspapers. When considering the different web analytics tools that your business requires, the plethora of available options can be overwhelming for businesses that may not understand how to use them. And that's where hiring someone to really dig into all of the reports can be vital. The rule that is often referenced in this regard is the 90/10 rule, so if you have $100 to spend on analytics, spend $10 on reports and data, and $90 on paying someone to filter through all of that information. Because without a proper understanding of the information these services will provide you with, it remains just raw data. You obviously won't use all of these tools all of the time, but it's beneficial to know about some of the top options and how they fit into your overall web strategy. And using multiple tools only gives you further levels of insight into your customers and your success rate. According to Avinash Kaushik, author of Web Analytics 2.0 and Web Analytics: An Hour A Day, "the quest for a single tool/source to answer all your questions will ensure that your business will end up in a ditch, and additionally ensure that your career (from the Analyst to the web CMO) will be short-lived. " So in short, it's of extreme importance to focus on multiplicity. For larger businesses, the more robust analytics tools can be great to really dig in, but for small and mid-sized companies, there are many free or relatively cheap offerings to help you understand this information. We interviewed Eisenberg, Christopher Penn of Blue Sky Factory, Caleb Whitmore of Analytics Pros, June Dershewitz of Semphonic, Eric Peterson of Web Analytics Demystified, Linda Bustos of Elastic Path Software, Jamie Steven, Rand Fishkin and Joanna Lord of SEOMoz.org, Trevor Peters of Critical Mass and Justin Levy of New Marketing Labs. These experts know the tools inside and out and this guide contains their recommendations on the best services for you to use. 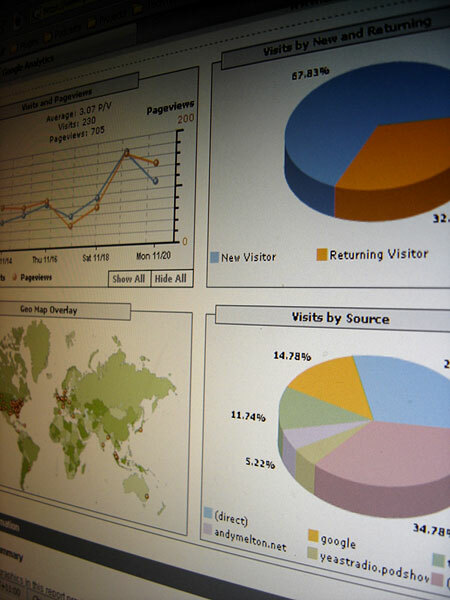 11 Best Web Analytics Tools: What is Web Analytics? Web analytics 2.0 is a three-tiered data delivery and analysis service for small and big businesses. The first is the data itself, as it measures the traffic, page views, clicks and more for both your website and for your direct competition. The second is what you do with that data, or how you are able to take the information gathered via these services and apply it to your customers, whether new or existing, to make their experience meaningful and better. And the final tier is how it all circles back together to meet your overarching business objectives, not just online but offline as well. Data by itself is a great way to see how you are performing, but without applying what you've learned, it has little use. 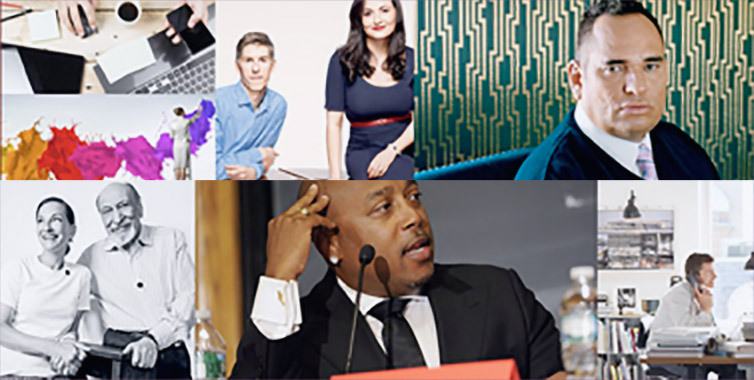 Google Analytics was the unanimous favorite of all the web analytics experts we talked to. Once you've mastered Google Analytics, Yahoo's similar offering gives you a little more depth in your surveying. It offers better access control options and a simpler approach to multi-site analytics, raw and real time data collection (unlike Google, you can import cost of goods data), visitor behavior and demographics reports and customized options as well. Yahoo Analytics is a bit of a step up from Google in terms of profiling, filtering and customization, so for those looking to dig a little deeper, it's a great option. In short, Crazy Egg allows you to build heat maps and track your visitors every click based on where they are specifically clicking within your website which is a long way of saying that you're exploring your website's usability. It allows you to really see what parts of your site users are finding most interesting and clicking on the most. It can help you to improve your website design and in essence conversion. Setup is quite simple as well, and their 30-day money back guarantee on all accounts is a nice touch. Perhaps best known for publishing the approximate number of global visitors to the web's top one million websites, Compete is a great complimentary tool to clickstream analytics offerings. Compete gives you creative intelligence on what your competitors are doing or how your users ended up on your website in the first place (what their clicks were both before and after). There is a free offering that includes traffic volume data. But where Compete is different is in their search analytics, a paid service that lets you track what keywords are sending users both to your website and to your competitors. "The deeper digital insights you have, the better understanding you have of your customer," says Aaron Smolick, senior director of marketing at Compete. "By using Compete products, you will have all of the information that you need to make educated decisions to optimize your online campaign, increase market share and dominate the competition. Another free tool from the folks at Google, their Website Optimizer is a complex testing service that allows you to rotate different segments of content on your website to see which sections and placement convert into the most clicks, and at the end of the day, the most sales. You can choose what parts of your page you want to test, from the headline to images to text, and run experiments to see what users respond best to. And of course, with GWO being free (you don't even need Google Analytics to use it), it could be the only A/B (a technical term for multiple versions of the site running at once) and Multivariate (MVT) or complex testing solution. 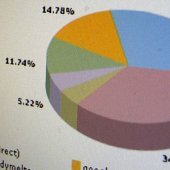 "While not web analytics proper, Google's Web Site Optimizer is the perfect companion to measurement and allows small business owners to test simple (A/B) and complex (multivariate) variations of their site, content, and landing pages using powerful statistical methodologies," says Peterson. "While set-up is somewhat involved, the user interface is delightfully easy to learn and, of course, the service is available at the best of all prices --- free. Google Website Optimizer was another unanimous favorite from our panel of web analytics experts. A relatively new service (launched in June 2010), Optimizely is simple to use but its results can be quite powerful. In essence, it's an easy way to measure and improve your website through A/B testing. As a business, you can create experiments with the site's very easy-to-use visual interface. The beautiful thing about this service is that you need absolutely zero coding or programming background, as the tools are easy for anyone to use. "¢ What are my visitors at my website to do? "¢ Are they completing what they set out to do? "¢ If not, why not? "¢ How satisfied are my visitors? A qualitative customer analysis, Clicktale records every action of your website's visitors from their first click to the last. It uses Meta statistics create visual heat maps and reports on customer behavior, as well as providing traditional conversion analytics. If you're using Facebook for any part of your business, this is the simplest free offering from Mark Zuckerberg's team in terms of analytics. It provides very detailed information about your follower counts, likes, comments on posts and more. There are two different types of Facebook Insights, based around both users and interactions with your content. Really, this is the best and only tool you'll need if you're using Facebook content to help engagement with your customers. The most complete application for measuring impact, engagement and influence on your Twitter usage, Twitalyzer is a free analytics dashboard with detailed metrics. Similar to Facebook Insights, Twitalyzer gives a higher view of your account's impact on customers, based on followers, retweet level, how often an account replies and engages in conversation, and more. Simplicity is key here, as you can just look up a Twitter username and get instant information. There are plenty of additional analytics options out there, including Piwik, Feedburner, Percent Mobile, Mongoose Metrics, AdWords, Klout, Topsy and plenty more. It really depends on what you want to focus on most with your business and that's what you need to analyze before digging into this process, but these cheap tools are a great place to start.